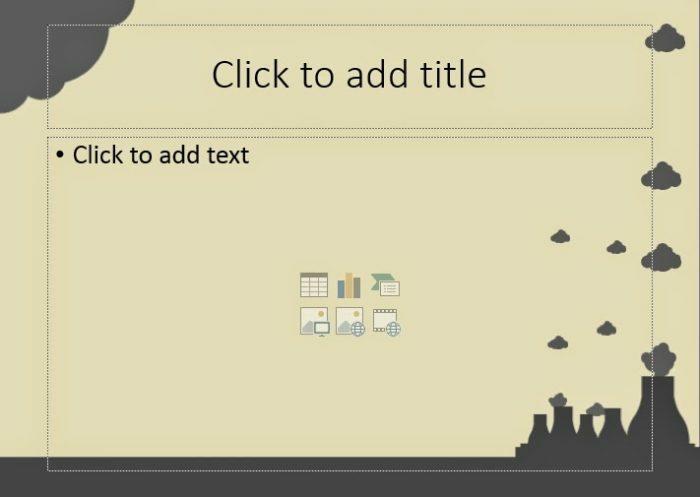 This power point templates have themes about environmental change. From the green and clean environment turn into a full of polution environment which caused by factory that nowadays it build in everywhere. Environmental change are the problems faced by world today. The changes of the environment caused by waste industrial activity carried out without regard for the state of the environment. The residual activities of insudtri waste pollute water, air and soil. templates power point consists of three slides. 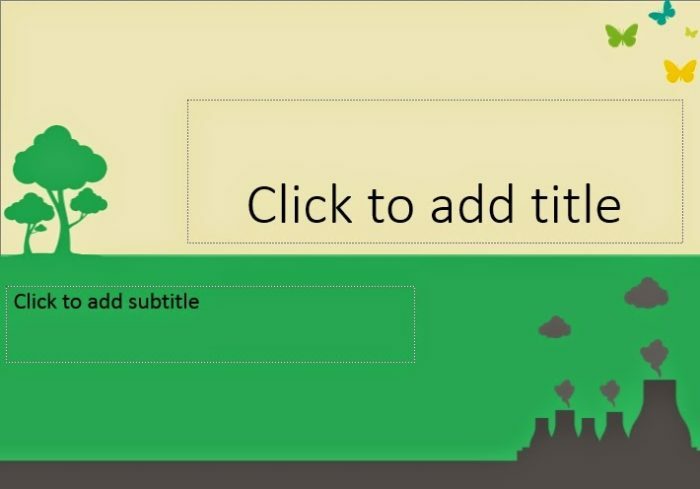 The first slide can be used to write down the title of the material will be presented. Inthis first slide background colors are green, white and grey. There are also pictures of trees, butterflies and also the silhouette of the industrial plants emit smoke above it. The second used to write the content of the material to be presented. The base color iswhite, on the slide with the silhouette of the factories that emit fumes. In this secondslide, the could can move up. 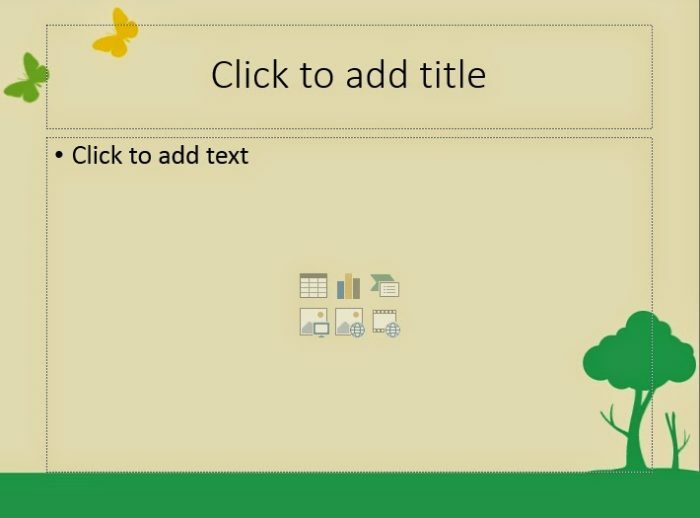 In the third slide, there is a picture of the green trees and the butterflies image in the top left hand corner. We can write the material that we will presented onthis slide, we can also write down the words of thanks at the last slide.